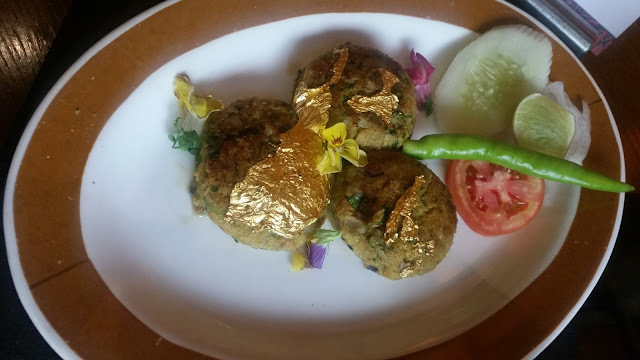 Gul-Ezaar-E-Gazak or a garden of flower is the name given to the kebab festival at ITC Kakatiya. Chef Aamer Jamal, with his tremendous knowledge of Indian food, have curated the menu, which is inspired by Dehlvi, Awadhi and Hyderabadi kebabs, albeit with lot of in-house innovations. A great deal of thought has been put even in the name of the dishes to make it sound interesting to food lovers. 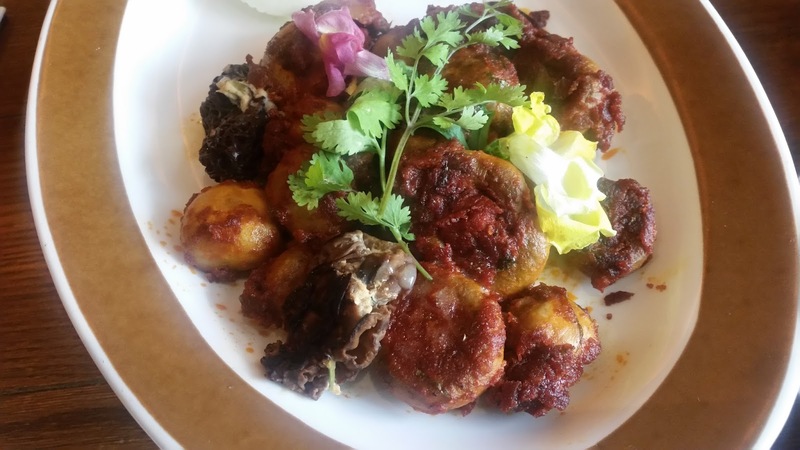 An example is Abu Galambo Kebab, Abu Galambo is Persian for crab. Cakes of pounded crab meat had been prepared in roasted spices, ginger and green chillies. It was a very soft and flavourful offering which virtually melted in the mouth. Murgh Shikanja Kabab was the first dish we tried out. 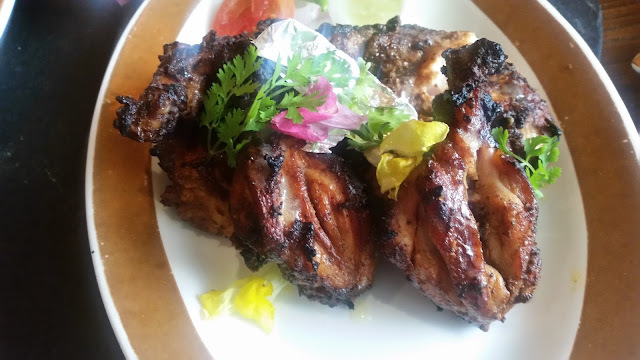 The kabab draws its name from the metal equipment shikanja or clamp in which the kebabs are held while grilling. 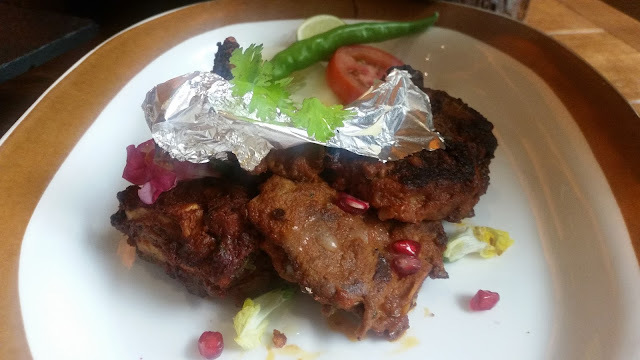 The marinade was essentially of green leafy vegetables and green chillies giving a distinct taste to the kebab. Next was the Murgh Barrah, glistening with fat on top. The large chicken pieces were marinades in yoghurt and select spices. This was the first time I saw the word “barrah” used in a chicken preparation, as normally it represents lamb chops, but the meaty chicken pieces tasted exceedingly good. 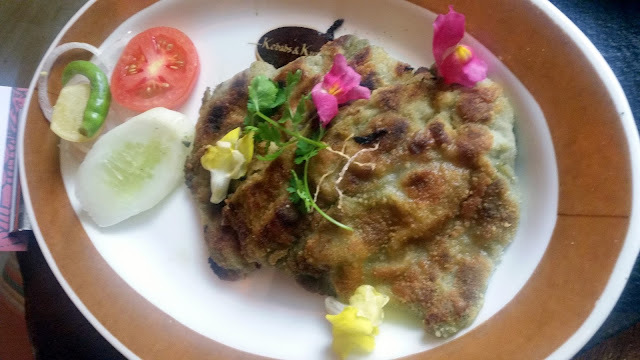 There were two Karare Seekh kababs, where the kabab was fried in a batter after preparation. The vegetable version had bhuna makai (corn) whereas the Kadak Reshmi had chicken mince with saffron flavour. The fried batter outer cover did not have much appeal for a traditionalist like me, though some others sitting with us enjoyed the combination. 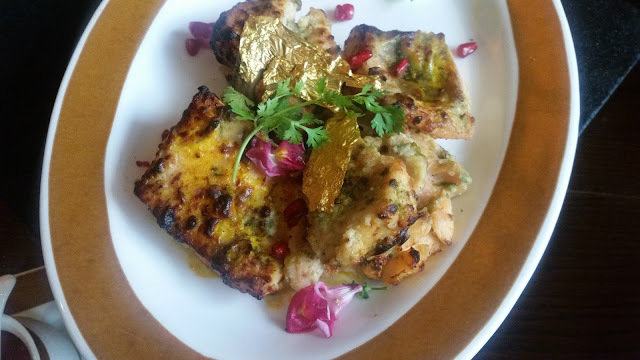 Mallika-E-Dariya was a salmon based preparation in a rich spicy marinade with traces of honey and mustard oil. The fish was soft and had taken in the marinade well. 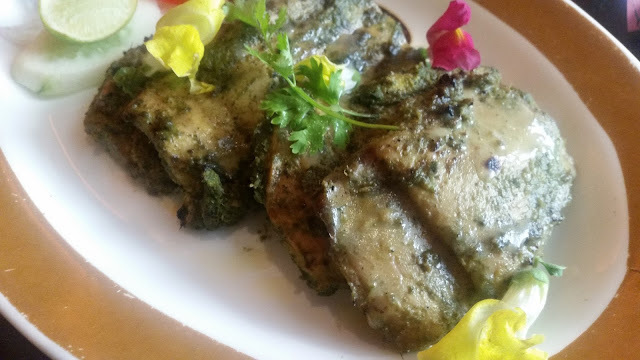 Zaituni Machhi had fillets of boneless fish with a masala of basil and other greens, prepared in olive extract. A dish with very subtle flavours, this was one of my favorites. Another innovative name was Habibia Chaamp. The dish had been a favorite of Major Sahibzada Habib-ur-Rehman, a leading light of the Indian restaurant industry as well as ITC Hotels. The mutton chops marinated in vinegar with pickled onion relish had a distinctly sweetish taste which I loved. We ended with Tarare Jhinge, a prawn preparation in hand pounded red chilly masala. 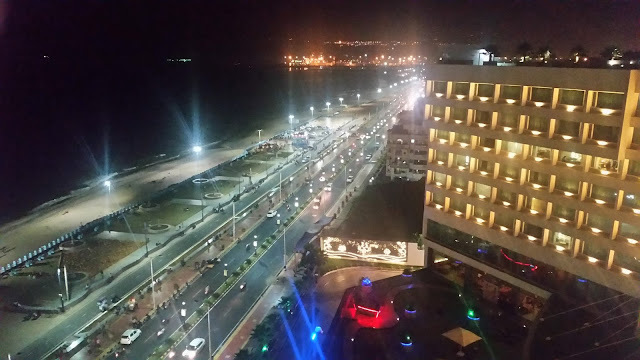 I am a big fan of K&K as this is one of the few restaurants where I did not ever have a bad experience. Also, their food promotions are extremely innovative and creative. In this festival, each of the kababs was unique, and not something you will get in usual outlets. 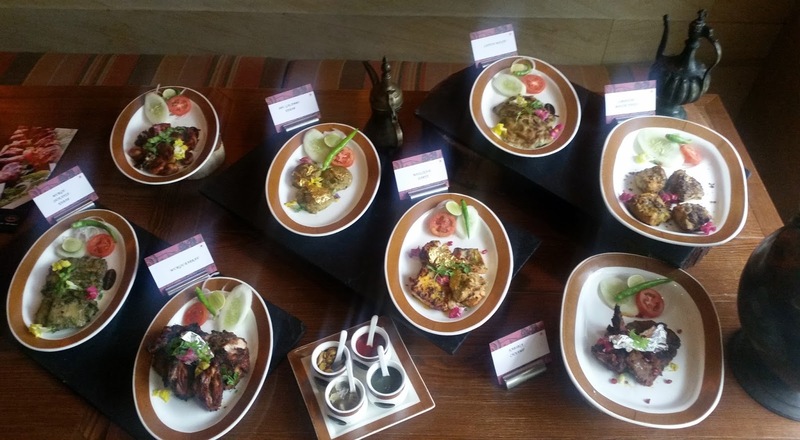 The menu has been carefully curated keeping in mind the diverse tastes of food lovers. The festival is on till 14th August.